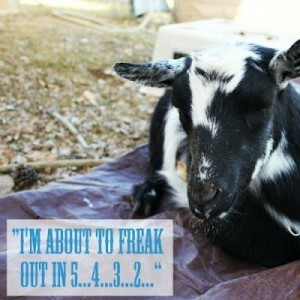 Weed’em and Reap website shares Polly the goat and her funny but very different labor and delivery. This post IS kid friendly if you are reading with younger children about or peeking over your shoulders. 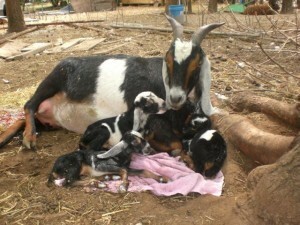 The Homestead Survival has previously shared Snowy Pine Ridge website’s post on Trixie Belle’s Triplets a graphic goat birth article with videos.